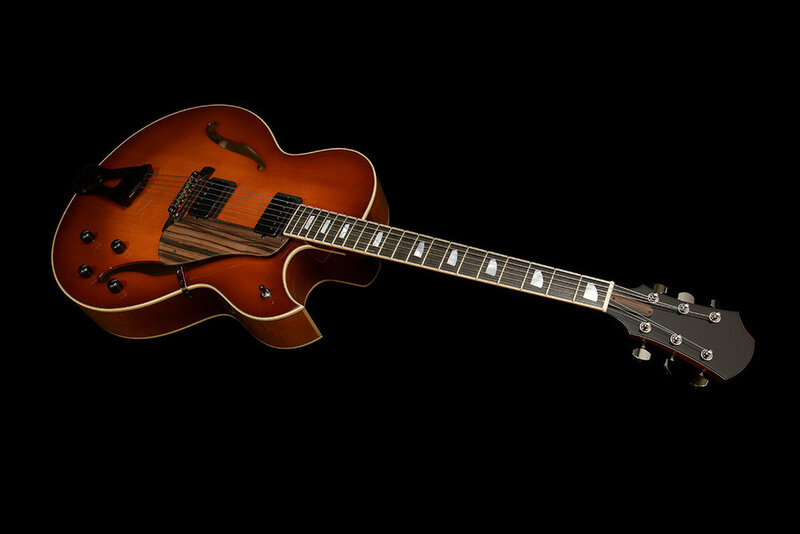 Westville is a signature model of Japanese jazz guitar player Yoshiaki Okayasu. 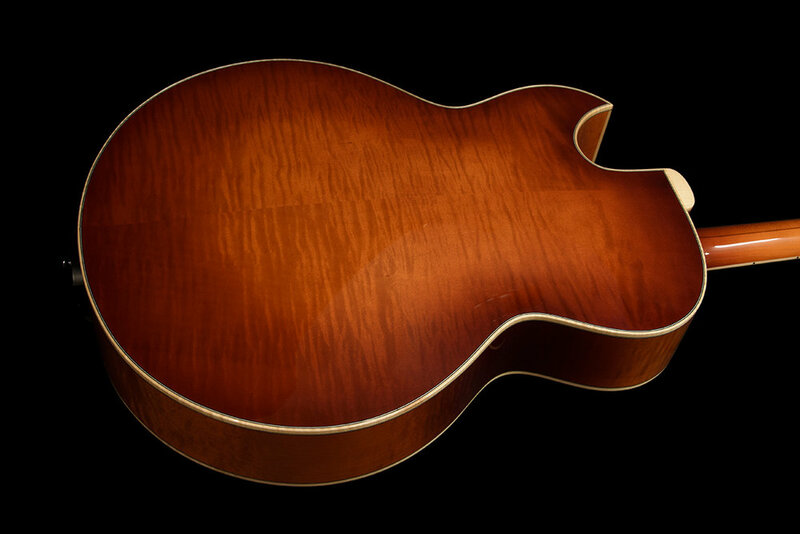 With its body made of solid carved spruce top, solid hard maple sides, and figured hard maple plywood, it sounds clearly and quite warmly. 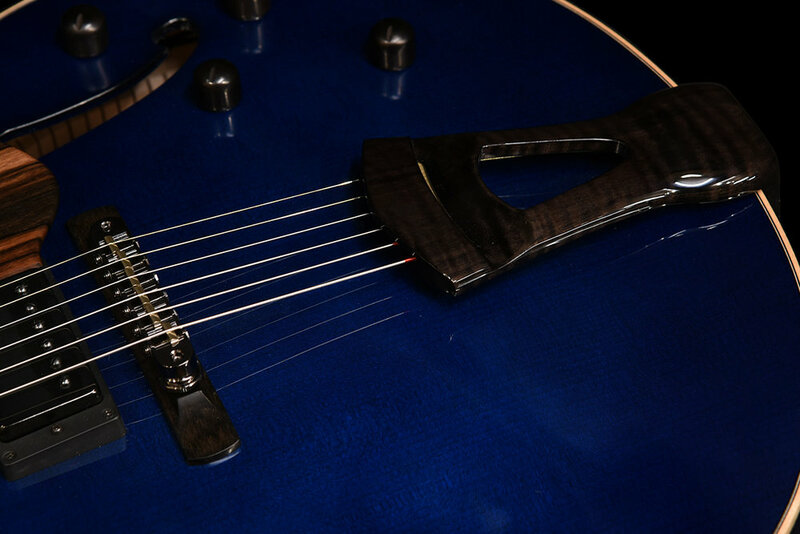 If you are looking for some traditional be-bop style jazz box like Wes Montgomery or Kenny Burrell, we would recommend trying the Westville Azure.